The Twickenham CC's Club Hill Climb first appeared in 2007, with the intent of being a fun and inclusive round off to the season, and something for all Club Members to take part in. 2007's course was chosen to be the Crocknorth Road climb, near East Horsley, which proved to be a great success, with 19 riders largely ignoring the dull and damp conditions to power their way up this 0.7 mile climb, with apparent ease in some cases. The course is intended to be tough enough to invoke a competitive edge for the accomplished climbers among us, but not too daunting for those who just want to come along and take part. There are, however, other selection criteria that should be met, namely that it should be within easy riding distance "club run style", and a suitable hostelry should be within the vicinity for post race de-briefing purposes! With honour and awards at stake for all categories, some great battles ensue for bragging rights. 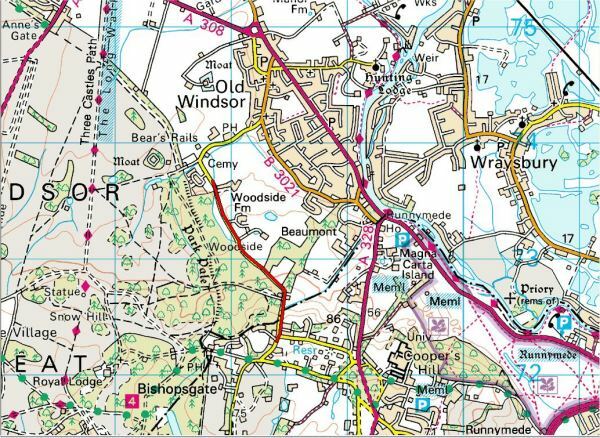 Sunday November 16th saw 2008's epic, with a new course having been set, namely Crimp Hill near Old Windsor. This climb is exactly 1 mile in length, with a 180ft elevation, which indicates an average gradient a shade over 4%, but don't be fooled, this was a real test at race pace ! 2010 was no less a contest, with Sandy King once again claiming victory, but with a far slimmer advantage. Rory "The Rocket" Atkins once again headed up the Youth Comp, whilst Sol Findley took the Ladies Crown, and Mark Veldveijer showed the Vets who's Boss.